WhatsApp’s co-founder Jan Koum is leaving the company and has announced the move on a Facebook post saying it was “time for [him] to move on”. His move comes over four years after Facebook acquired rights over WhatsApp in a US$19 billion deal. At the time of acquisition, it was Facebook’s biggest deal to date. Koum’s announcement on the exit, which comes several months after the departure of WhatsApp co-founder Brian Acton, saw Facebook founder Mark Zuckerberg replying,”I will miss working so closely with you. I’m grateful for everything you’ve done to help connect the world, and for everything you’ve taught me, including about encryption and its ability to take power from centralised systems and put it back in people’s hands. Those values will always be at the heart of WhatsApp.” It also prompted a word of gratitude from Facebook COO Sheryl Sandberg. While the interaction on the social platform between the WhatsApp co-founder and Facebook founder seems somewhat cordial, according to an article on The Washington Post, Koum’s move comes after clashing with parent company Facebook, over the service’s strategy and “as Facebook’s attempts to use its personal data and weaken its encryption”. However, protection of user data has always been the core foundation of WhatsApp – something Facebook promised to preserve when they bought over the social network. Nonetheless in 2016, two years after its acquisition from Facebook, WhatsApp begun sharing data including users’ phone number with its parent company, as part of plans to allow businesses to send messages to users. This was the first time the messaging service has connected users’ accounts to the social network to share data. The move sparked a reaction from netizens, with some calling out both platforms for the move. Koum’s move also comes in the midst of Facebook’s F8 summit where Facebook VP of messaging products David Marcus revealed to CNBC that there were plans to open WhatsApp up more to advertisers. 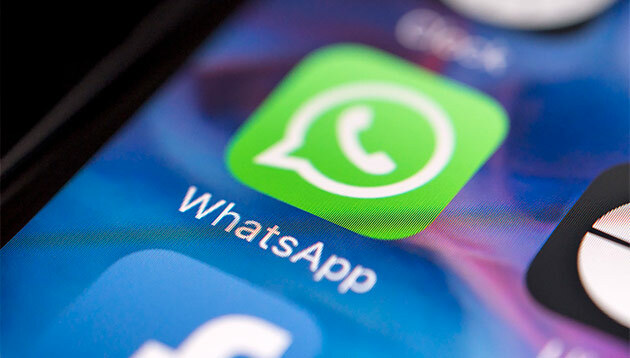 This includes the integration of a new application programming interface (API) to send and receive messages with people on the WhatsApp platform, he added. However, Marcus was quick to shut down questions which linked Koum’s departure to internal conflicts over data. He explained that was not the case and that Koum “wanted to do something else”. Marketing has reached out to Facebook for comment on possible new ad opportunities. Along with added advertising opportunities on WhatsApp, it seems like the platform would also be developing a dating feature for the platform, causing market dips in the parent companies of rival dating apps such as Tinder and Match. Match fell 22% while parent company IAC, saw a dip of 18% – its biggest daily loss in 13 years, Reuters reported. This wiped around US$5 billion off their combined market values. In a Facebook announcement detailing the move, the new feature will allow users to create a dating profile separate from their Facebook profile. This will allow potential matches to be recommended based on dating preference, things in common and mutual friends. Users of the new dating service will also have the option to discover partners with similar interests through group or events. Activity within the function however, would not be shown to friends. Testing is slated to start later this year. Meanwhile, following the Facebook-Cambridge Analytica scandal,co-founder of WhatsApp, Acton called for users to #deletefacebook in a Twitter post. One month before the scandal broke; Acton also donated US$50 million to Signal, a rival messaging app with a focus on privacy and surveillance-resistant communication, TechCrunch reported. American football star Rob Gronkowski has been enlisted to stop people from taking part in this viral Internet challenge. .. In a move to bolster its local as well as regional presence, Singapore-based PR firm Fulford Public Relations has acquired Chrysle..